A company spokesman says the driver has been fired. TEWKSBURY, Mass. – Police have arrested a temporary Market Basket driver who allegedly jumped from his tractor-trailer and waved a hammer at workers picketing the supermarket chain’s warehouse. A Market Basket spokesman said the company “condemns the driver’s actions” and said the driver and his company have been fired. Workers loyal to fired Market Basket CEO continue picketing at the embattled supermarket chain’s headquarters despite a notice this week from management that headquarters and warehouse workers will be fired if they stay off their jobs. 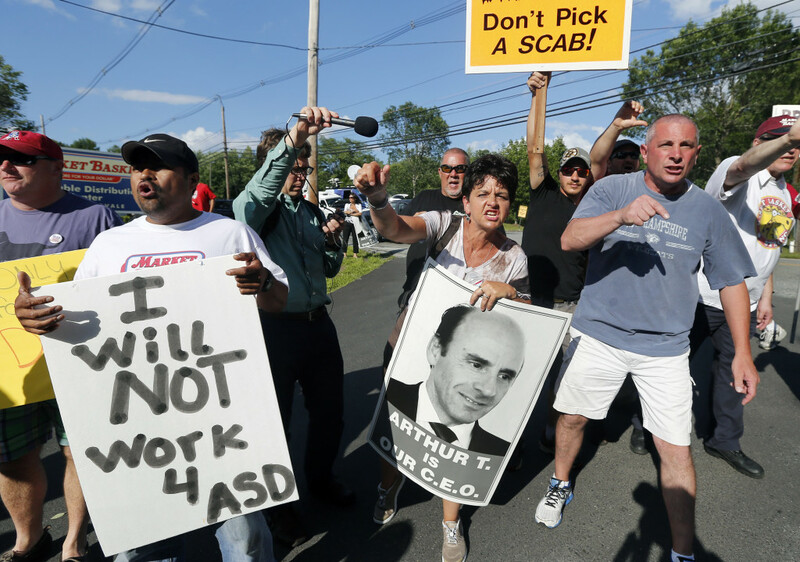 The workers are demanding the reinstatement of Arthur T. Demoulas. He was fired in June by a board controlled by his rival cousin, Arthur S. Demoulas, and has been negotiating to buy the family-owned company. The chain has 71 stores in Massachusetts, New Hampshire and Maine.